Cast Iron Radiators from our Prince series of radiators look stunning when combined with our Princess Cast Iron Radiators. First cast in the late Victorian period in North America, the Prince Cast Iron Radiators are slightly more decorative than our Princess Cast Iron Radiators. 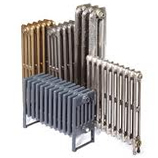 These Prince Cast Iron Radiators feature decorative ears on the top of each and every section and were traditionally used on the ground floor of buildings which used Princess Cast Iron Radiators on every other room. 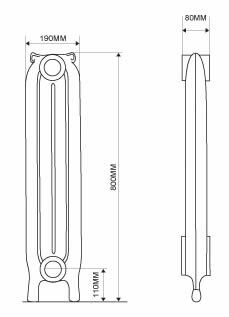 The Prince Cast Iron Radiators are available in two heights.